We'll admit that when we think bold lip colours, berry is not the first shade to come to mind. After all, red lips are the go-to for any woman who wants to rock a fierce, statement-making lip colour, pink is the safe and sweet option, and coral screams fun and energy (or if you're curious to find out what your lipstick shade says about your personality, read this). But if you think about it, berry, while not as in-your-face as red lipstick, still manages to make an impact and exude assertiveness. 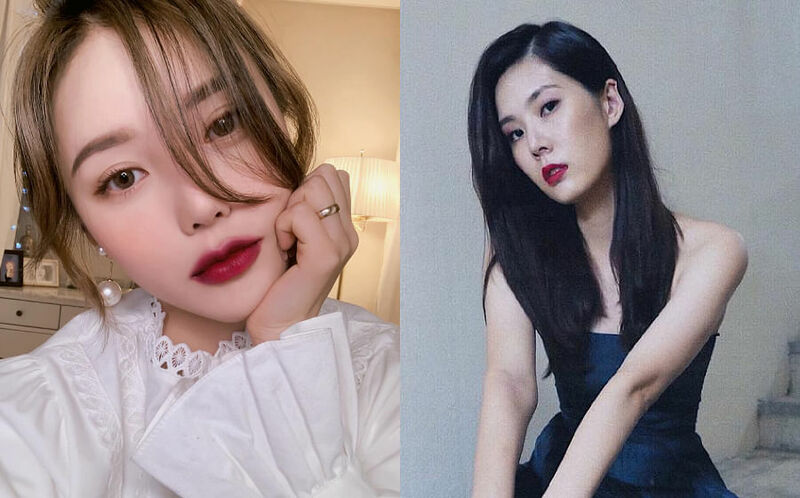 Korea's top makeup artist and influencer Pony's take on the berry lip: A softer look that is achieved by blurring the colour out on the lip outline so it's less defined. Local artiste Carrie Wong keeps the rest of her makeup simple so that the berry lips stand out. Mando-pop queen Jolin Tsai exudes femininity and power with a darker berry shade. Crazy Rich Asians and Captain Marvel star Gemma Chan rocks a berry lip with her white Miu Miu gown. The former Miss World and multi-hyphenate celebrity keeps her berry lip casual by wearing it with a jumpsuit instead of a gown. Korean starlet IU glams up her berry lips with diamond drop earrings and a chunky necklace. The newly minted Victoria's Secret angel pairs her berry lips with strong brows to make a statement.